Manufacturing at the nanoscale involves the industrial application of nanotechnologies. Nanosize powder particles (Nanoparticles) are prohibitively expensive to produce and also tend to form clumps (agglomerates), which creates a serious technological problem that has impeded the prior application of Nanoparticles in medicine. Recently, advances in physics have allowed scientists to engineer Nanoparticles and Nanostructures in various fields of science and medicine. 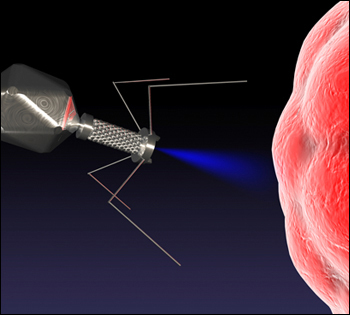 Nanomanufacturing is very expensive and complicated, requiring years of research and funding. Those that purport to possess Nanotechnology, and in fact, do not, are growing in number. Companies illegally and immorally claiming to possess Nanotechnology can be reported to the FDA and FTC. These policing agencies can take measures against fraudulent claims related to foods, Nutraceuticals, and Pharmaceuticals. Consumers interested in purchasing products based on Nanoscience should examine the scientific and patent history of a company claiming to possess Nanotechnology. It is perfectly acceptable for consumers to ask for the Science Behind the Product as related to nanotechnology.